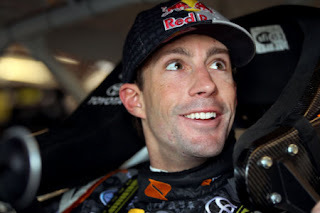 Travis Pastrana has already achieved great success in extreme motorsports like supercross and rally racing. He’s now looking to make his name in NASCAR with help from Michael Waltrip, with whom he teamed up to form Pastrana-Waltrip Racing, now part of an alliance with RAB Racing. Here’s some background on the driver of the No. 99 Boost Mobile Toyota Camry in the Nationwide Series. Travis Alan Pastrana was born October 8th, 1983 in Annapolis, Maryland. He was on a motorbike by age 4, and found his calling in motocross, winning five National Amateur titles in the 1990s as well as two Canadian titles. In 1998, 14-year-old Pastrana captured the world freestyle championship. In 1999, Pastrana won his first X Games gold medal in MotoX Freestyle, the first of 10 in his career. In 2006, he won three golds: MotoX Best Trick, MotoX Freestyle and Rally Car Racing. Pastrana was attempting to complete “Pastranathon” in 2011 – Best Trick in the X Games, a Nationwide Series race at Lucas Oil Raceway at Indianapolis and an X Games RallyCross event – when he broke his right foot and ankle attempting a trick, putting an end to the Nationwide Series race; he would compete in the RallyCross event using a specially-devised hand-steering control. In 2005, Pastrana began competing in Rally America for Subaru Rally Team USA, winning four straight championships (2006 to 2009); he also competed in the World Rally Championships for Subaru from 2007 to 2009. Pastrana made his NASCAR debut at the Toyota All-Star Showdown at Toyota Speedway at Irwindale on January 29th, 2011, finishing sixth. After his Nationwide Series debut was scrapped following his X Games accident, he finally made his series debut on April 27th, 2012, finishing 22nd at Richmond; he will compete in seven total Nationwide Series races in 2012, as well as racing in the K&N Pro Series East, Global RallyCross and the Traxxas TORC off-road series throughout the year. Pastrana was instrumental in the development of “Nitro Circus,” an “action sports collective” featuring Pastrana and some of his friends riding bikes and performing stunts. “Nitro Circus” has become a series of DVDs, a television show and a live performance tour. Pastrana is married to Lyn-Z Adams Hawkins, a professional skateboarder who has three gold medals in the Summer X Games; Pastrana proposed to her in the middle of a “Nitro Circus” tour show in Las Vegas. 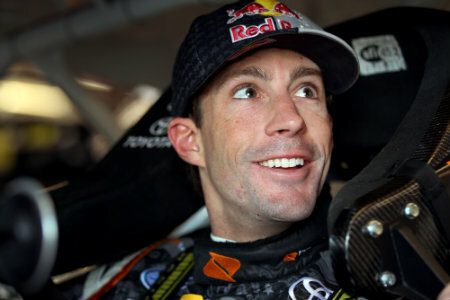 Find out more about Pastrana at http://www.travispastrana.com/.